I like to believe that my passion for keeping the pounds off is passion with a purpose. Sometimes I lose that feeling of passion and sometimes I misplace the purpose under the daily grind and the influences of salted caramel gelato. I want to have the same passion in my recovery from my eating disorder that I do for my work. I want to be blazingly on fire. 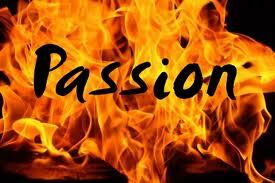 o you have that passion? If you do, will you share it here with me - that I may wrap myself in your embrace and reconnect with the passion inside of me? Here are two of the replies, followed by my thoughts. I thank both Dr Sue and Norma for their replies and I am grateful they played nice in their comments. I do not think that a passion for taking the actions to maintain your weight loss is "the eating disorder." Keeping oneself physically healthy = keeping oneself emotionally healthy, particularly after a long period (or a lifetime) of UN-healthiness that was followed by the gift, to oneself, of a new life. Passion is good. Working hard at keeping the pounds off because it adds to my health and happiness is very good. Loving myself is good. As someone with an eating disorder, I walk the fine line between loving myself in a healthy, joyful, sane way versus "the bestest and most authentic Jane there is" means being honest and honestly today, I love a quality gelato. If I do not binge on it or have it Monday thru Sunday, I am not punishing myself with food. Restricting myself so I won't dine out with family and friends because 'other food will be there.' Being the "
At that same time, I have to be careful not to love myself with so much self-acceptance I love myself into a coffin of doughnuts and gelato. If I have it and find myself thinking about it, hiding it or making excuses for it - I have a problem. Problems do not get swept under a diet rug. The get exposed so they will lose their power over me. Passion (any passion) turned to obsession is not good. Working hard at keeping the pounds off is healthy if it is balanced with the rest of my life. If I am hard at it because I am afraid of gaining back a few pounds and I will loath myself, it is not recovery. If I punish my body with extreme workouts beyond sane, new restrictions of food and activities or I flog myself with a recovery whip* in the name of abstinent eating, this would be a manifestation of my unhealthy eating disorder in action, just the same as if I were actively binge-eating. If the passion I have for my work overshadows the personal events in my life it is not healthy. I restricted my work load several times during the past 12 months while I worked through my mother's death and became comfortable with our new family dynamic. If I had buried myself in work it might have made my clients happy but I would have suffered and so would my family. I still believe keeping the pounds off (the mindset, not the blog) is passion with a purpose - a good purpose. I have to have an ongoing passionate purpose if I am going to sustain a 200 pound weight loss for the rest of my life. If it were easy, wouldn't everyone be a normal body size? *there is no such thing as a recovery whip. Oh my gosh Jane, this took my breath away! I LOVE LOVE LOVE this post! I am going to reread it again! I think it's just damn hard and has to be rethought and figured out on a regular basis. Your take on it is pretty much exactly what I'm think-Gelato and all. The hardest part is coming from that higher place within yourself that is able to pull back and evaluate what you are doing or how you are acting out from your eating disordered nature (whether that is the punishing exercise or rigidness around eating with family or obsessive thinking about diet and weight loss or excessive habits around foods or abstaining. I think of my eating disorder as always on the move( and I am a bona fide eating disordered person - treatment and all) . It was one way as a kid, and then morphed in intensity and as a reaction to unpleasant feelings and lack of coping skills in college. 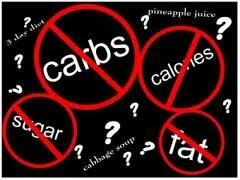 After college, came new ways of abusing food cycled with diets and shame / guilt. Then the therapy started, the OA years, the relapse years, life circumstances changing and the eating / diet /therapy cycle.